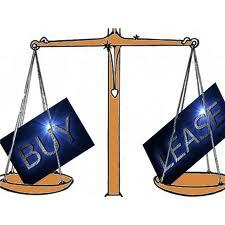 Which is better, leasing or purchasing a new car? If you asked me that question eight months ago my answer would have been a shrug of the shoulders. My philosophy was, why lease when you had nothing at the end. Owning a car gave me something of value to sell or trade. Correct? Maybe. a car lease and purchase. If you drive from Boston to Vermont every day…you might not want to lease a car. If you like doing the maintenance on your car…you might not want to lease a car. If you name your car and get attached easily…you might not want to lease a car. If you typically drive 10, 12, or 15 thousand miles a year…you might consider leasing a car. If want to have the latest and greatest…you might consider leasing a car. If you like change…you might consider leasing a car. I have always purchased a car, but that may be changing very soon. Do you lease or purchase a car?